I first visited South Africa back in 1997 as a tourist and the country just blew me away. I was really impressed with the landscape, wildlife and most of all the friendliness of the people. It was also the first time I did tasting at cellar doors – at that time I was only an average wine consumer who didn't know much about wine. And it was this visit to a wine country that made me truly fall in love with wine. With my 12th visits back to the country just round the corner, the Cape Winelands never fail to amaze me. This was my third time taking part in harvest in South Africa and I’m lucky enough to have worked at two wineries; Villiera Wines in Stellenbosch and Paul Cluver in Elgin, both family-owned estates. 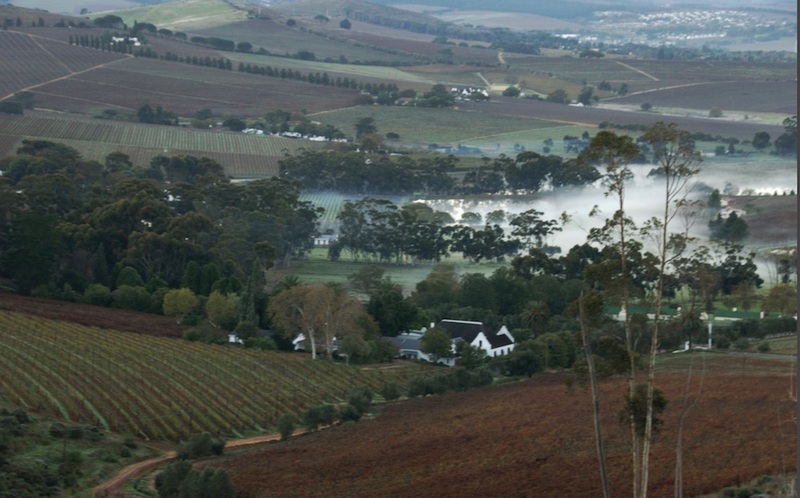 Villiera, in the Bottelary Hills sub-region of Stellenbosch, is one of the biggest players in MCC, Methodé Cap Classique, accounting for some 50% of its production. MCC is South African answer to Champagne, a sparkling wine where second fermentation must take place in bottle and that the wine must be aged on lees for at least 12 months. Any grape varieties are allowed but most MCCs are made from Chardonnay, Pinot Noir, Pinot Meunier, Chenin Blanc and Pinotage. 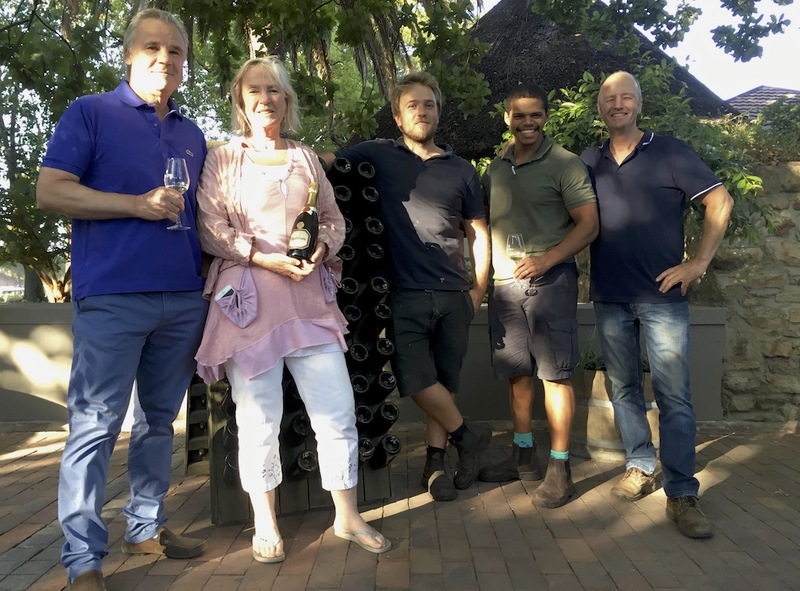 The Cap Classique Producers Association (CCPA) was established in 1992 by 12 like-minded producers who share the passions for bottle-fermented sparkling wine and are committed to promote South Africa’s premium MCC to the world. Today, MCC is widely recognised and smaller wineries are adding MCC to their portfolios. Now CCPA has over 100 members. 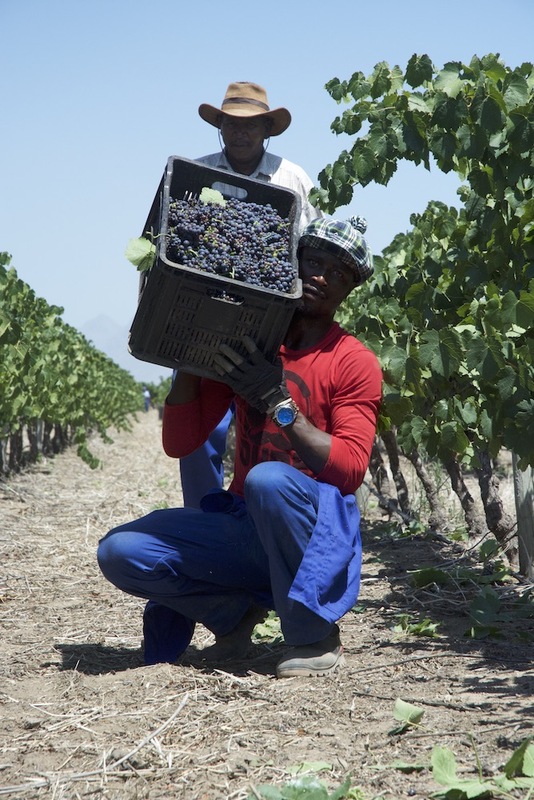 I spent four weeks at Villiera for MCC harvest and learnt a lot from the team led by Jeff Grier. Picking the grapes at the right time is obviously the key factor for making quality wine but it is even more so for sparkling wine in a warmer climate to pick the grapes just ripen in order to retain the acidity. 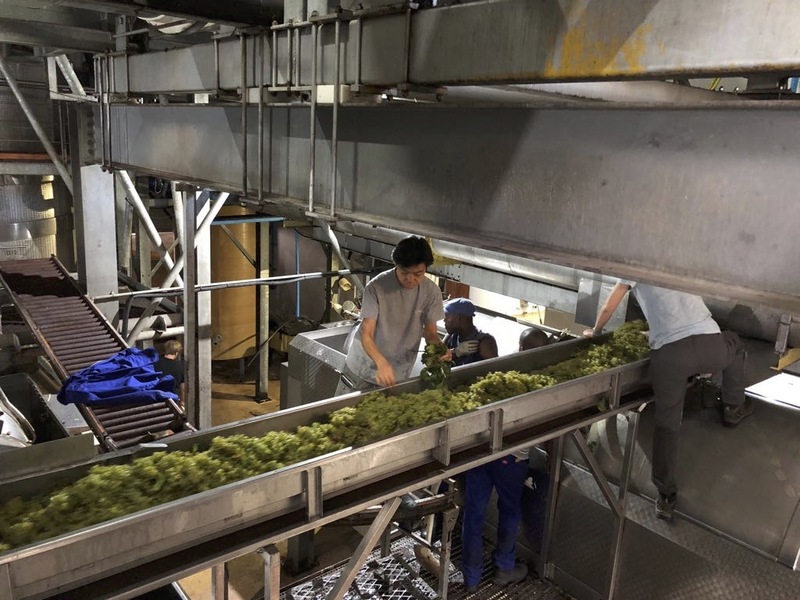 Grapes are then pressed whole bunch at low pressure up to around 0.8 bar to avoid phenolic extraction (pressure in a bottle of champagne is around 5-6 bar). 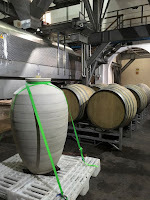 All MCCs at Villiera undergo full malo-lactic fermentation (MLF) partly to soften the acid but also to ensure only minimum sulphur dosage is required. Wine from cool climate region (Champagne, England) is naturally low in pH that deters bacteria growth, but not in the warmer Stellenbosch. With no or partial MLF, a much higher sulphur dosage is needed to prevent spoilage. 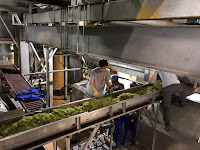 The winery has a capacity of 2,000 tons. However, being big doesn’t mean lack of innovation or experimentation. Villiera produces the first low alcohol MCC with 9.6% alcohol called Starlight Brut NV with 12 months on lees. Its Brut Natural vintage MCC, a Blanc de Blanc (100% Chardonnay) with natural fermentation and no additives, spends 3 years on lees to develop a creamy, yeasty aromas with a savoury palate. The grapes come from the best parcel on the farm and only tête de cuvée, the finer quality juice from the first pressing, is used for the wine. This year, winemaker Alexander experimented with fermenting a portion of the base wine in amphorae and old barrels for more elegance and better terroir expression. It will be very interesting to taste these wines, from the same juice and fermented the same way but in different vessels. He will fine tune the proportion of wine fermented in these vessels and perhaps include concrete egg for fermentation in future. Apart from wine, what makes Villiera stand out is their commitment to sustainability, both for the environment and people. The estate installed solar power back in 2010, the largest in South Africa at the time, and feed back surplus to the grid. The country has been in drought for three years and Simon, the viticulturist cousin, is looking for ways to minimise water lost in the dams through evaporation. The family, in conjunction with two neighbours, set aside 220ha of land for indigenous plants and turn it into a wildlife sanctuary. They are planting 100,000 indigenous trees in order to become carbon neutral. To help future generations, Villiera provides space and buildings on site for the Pebbles Project, a charity organisation that runs over 100 mobile farm schools for children living on farms. I was talking to the cellar team and the staff is grateful that the company sponsor them for various training courses. All these initiatives are reflected on the back labels of the wine. Check them out. Good news is that the full range of Villiera wine is available in Hong Kong. Contact wine’n’things for more details. Paul Cluver family owns De Rust Estate in Elgin since 1896. In 1989, the farm became the first farm to plant commercial vineyards and supplied cool climate grape varieties to Nederburg. Subsequently, the family built its own cellar and produced wine under its own label, Paul Cluver Wines, in 1998. At that time, popular red grape varieties such as Cabernet Sauvignon, Merlot, Shiraz were the norm. Following the advice of the late Paul Pontallier after his visit to the farm, the family switched the focus to Burgundian varieties. Thanks to Paul Cluver, Elgin today is recognised as one of two South African cool climate regions for excellent Pinot Noir and Chardonnay. 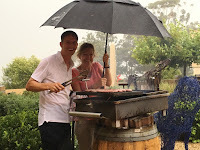 However, instead of blindly following Burgundy, Paul Cluver, the fifth generation and managing director, realised that Elgin is not Burgundy: Elgin’s soil is shallow while Burgundy’s is deep; Elgin rains for four months in winer and spring whereas Burgundy rains every two weeks in summer. Vines are therefore irrigated but they also work to improve the soil structure with optimum microbial activities so vines can be more resilient to climate adversity. 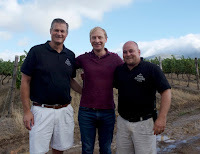 Andries Burger, cellar master and brother-in-law of Paul, experimented with different winemaking techniques to make wine that reflects South Africa and Elgin. The results? Paul Cluver produces Pinot Noir that expresses the purity of fruit supported by a poised structure, multi-dimensional Chardonnay, and an elegant Sauvignon Blanc with creamy mouthfeel and mineral finish. The soon to be released 2017 Riesling is delicate with fresh citrus and floral notes. Andries is very strict with what goes into the fermentation tanks. At the first day of harvest, he personally explained, with photographs, to the 20-persons sorting team what must be removed from the sorting table. He believes the extra attention paid in sorting is responsible for the last 5% of quality increase in wine, pushing up the wine from good to very good. Not every winemaker may agree but this is his philosophy. Only winemakers with strong beliefs can make wine with personalities and identities, and I fully respect that. 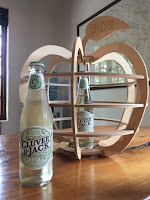 In addition to wine, the family also produces an apple cider, Cluver & Jack, with another winemaker Bruce Jack. 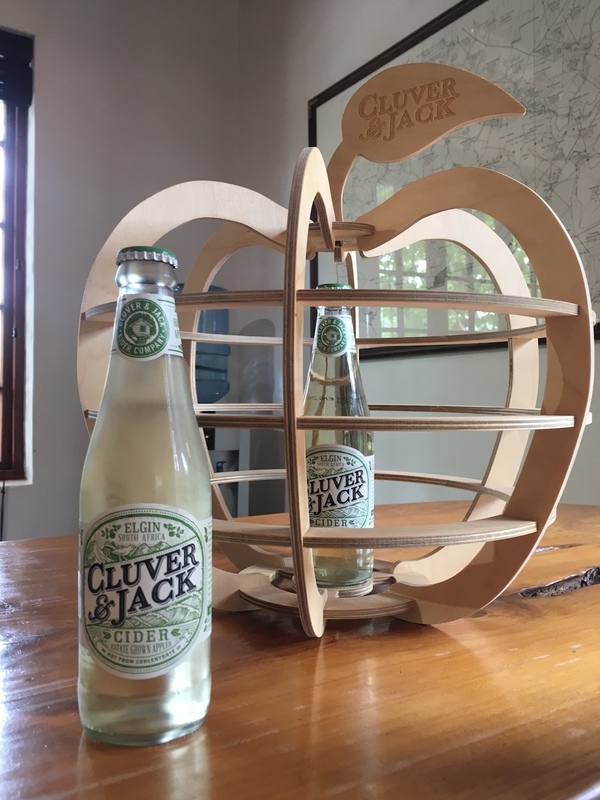 This hand-crafted cider is made with freshly pressed apple juice from apples grown in De Rust Farm using the methodology of Jack family. It is refreshing but with the complexity that high volume ciders made with apple concentrate lack. Paul Cluver’s website described the family correctly as a close-knit group with a visionary, pioneering spirit. What they didn’t say is that the family is also caring. The great-grandmother started a school in the farm that eventually became independent schools with vocational training in the community. 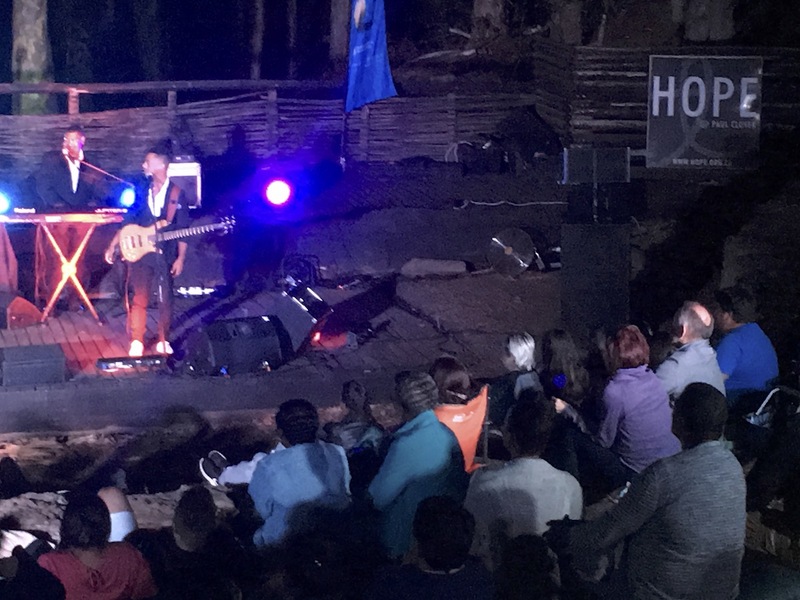 More recently, The Hope@PaulCluver Amphitheatre was initiated where funds raised from the live performances at the farm’s amphitheatre were donated to improve lives in the community. In terms of environment, 50% of its 1,000ha estate is set aside for conservation and forms part of the Kogelberg Biosphere Reserve. Last but not least, Andries and Anné the winemaker make sure us, interns, enjoy and learn during our brief stay on the farm. Paul Cluver does not have an importer in Hong Kong yet but some of his wines are available at Marks & Spencer. South African wine industry is generous. 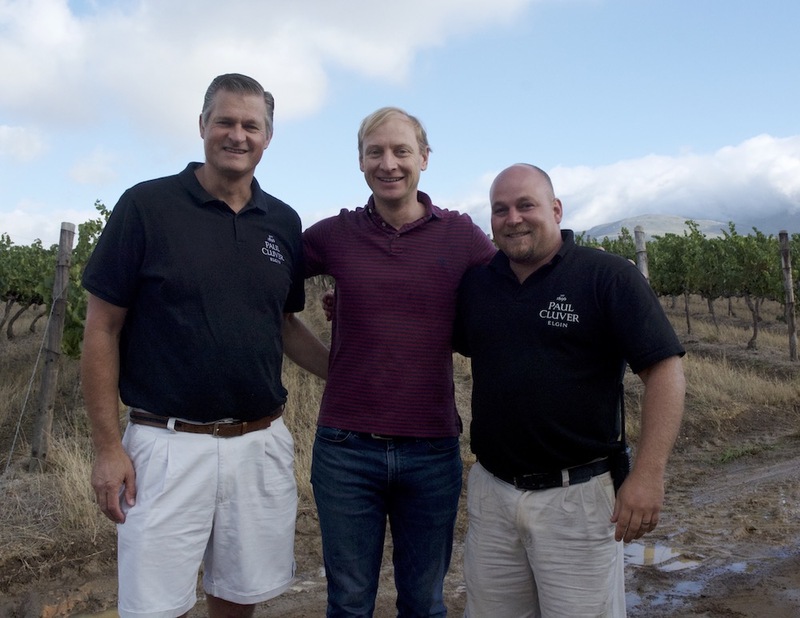 Social responsibility is at the hearts of most wine estates. Villiera and Paul Cluver are just two leading examples. 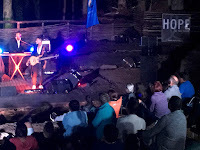 In fact, the Cape winelands are pretty much involved in the Pebbles Project, a non-profit organisation that supports children and their families in farming communities by providing schools, child care, training and healthcare, The latest Hemel-en-Aarde Education Project, started in early 2017, supports nearly 100 children from the valley. 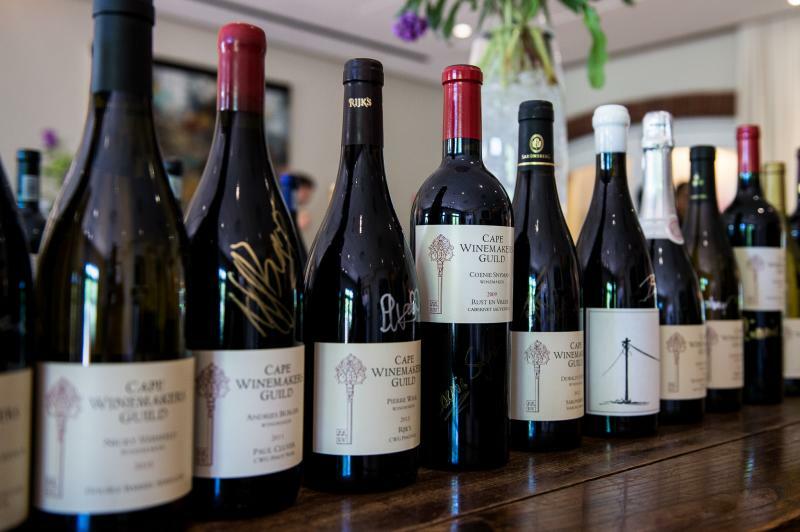 The annual Cape Wine Auction in February raised a whopping 17million rand (around HKD11million) for Pebble Projects. 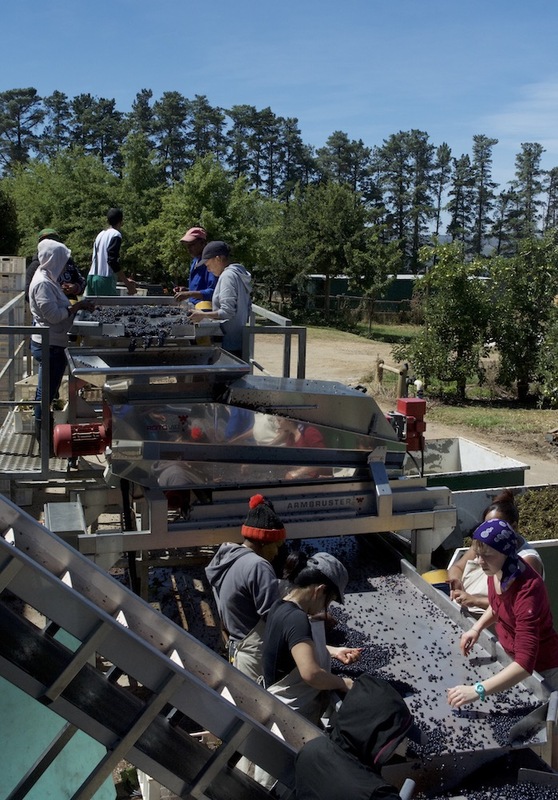 Another industry group, The Cape Winemakers Guild, runs a Development Trust and various programmes to support social development through further education in the industry. Their winemakers are not stingy in sharing. I had more than a few mind stimulating discussions with them, ranging from technical and science to soil and winemaking philosophy. One simple question could often end up in a 15 minutes exchange. Andries Burger, cellar master of Paul Cluver, loves to draw benzene rings to explain chemical reaction. 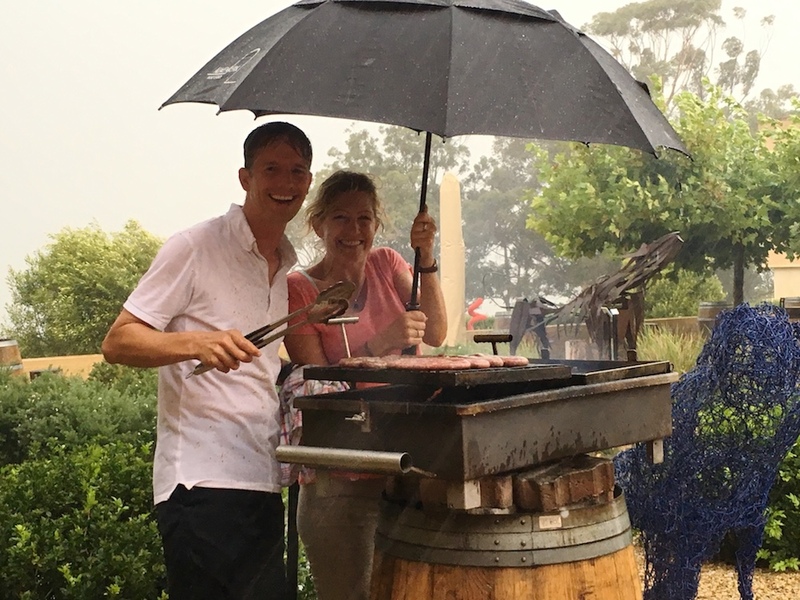 Nathan, winemaker at Villiera, had thought-provoking questions on the differences between fortified wine from Portugal and South Africa, and sparkling wine from England and South Africa. Harvest in South Africa is also sociable. Weekly wine hour, pre-harvest party, intern night, evening braai ... Winemakers, interns and friends of various nationalities share jokes and experiences over glasses of wine. I miss the country and the people already!